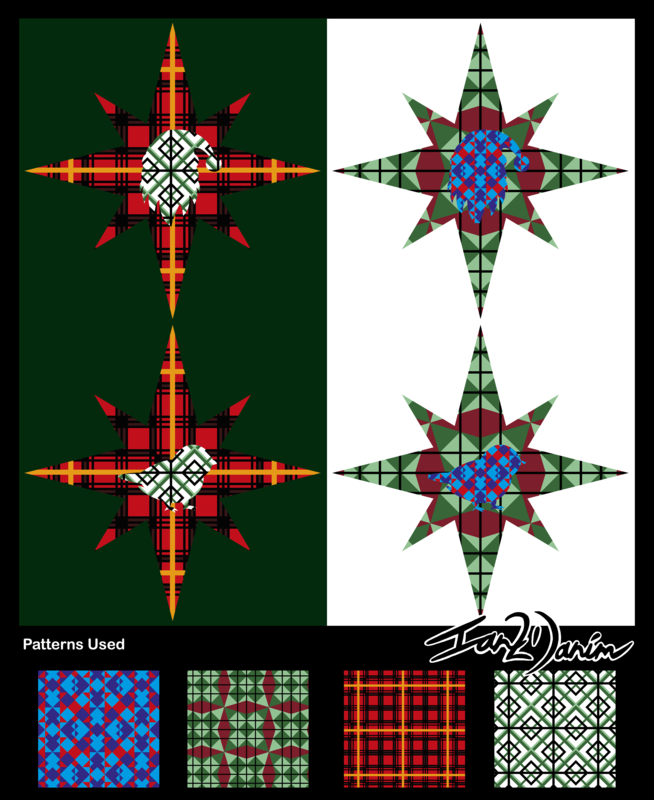 This is the second and final part of the Christmas theme set. 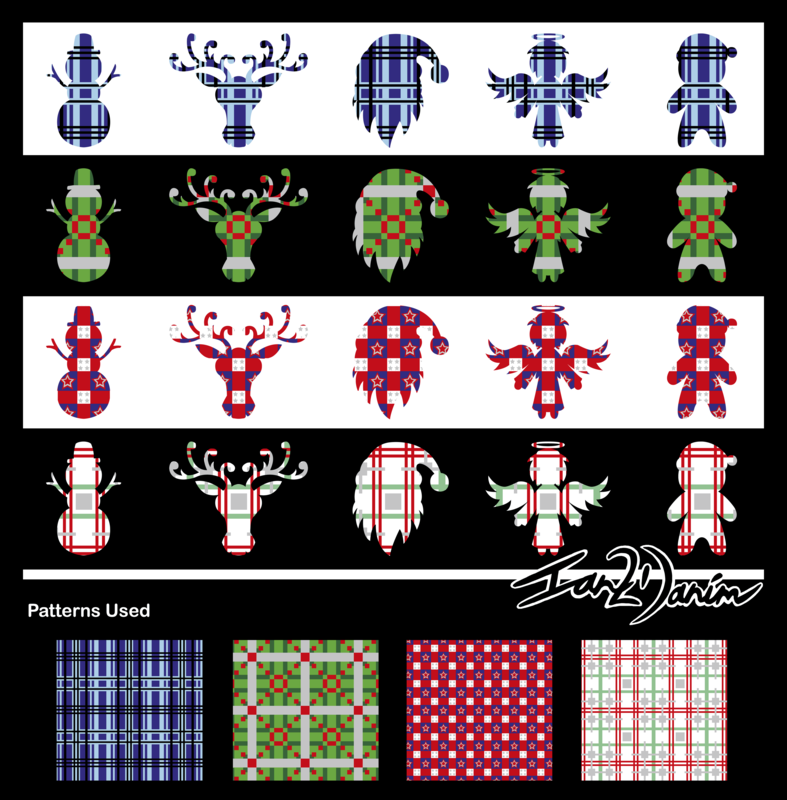 This is was the main objective of the series and that is 15 Christmas silhouettes that use the patterns that I made previously as their colours. 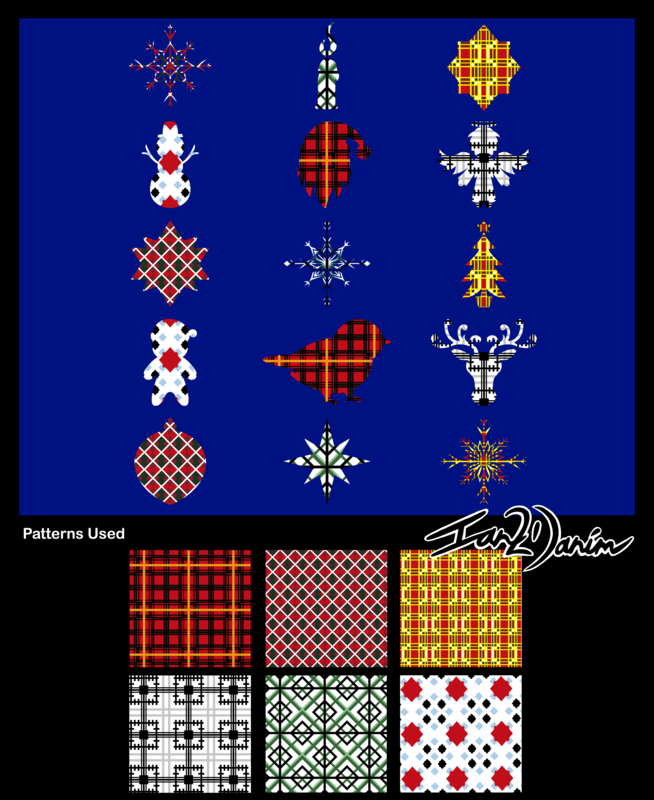 The top image is all 15 main Christmas silhouettes that was used. This includes that following; Santa, Robin, Snowman, Gingerbread Man, Angel, Reindeer, Star 1/2/3, Snowflake 1/2/3, Candle, Bauble and Christmas Tree. 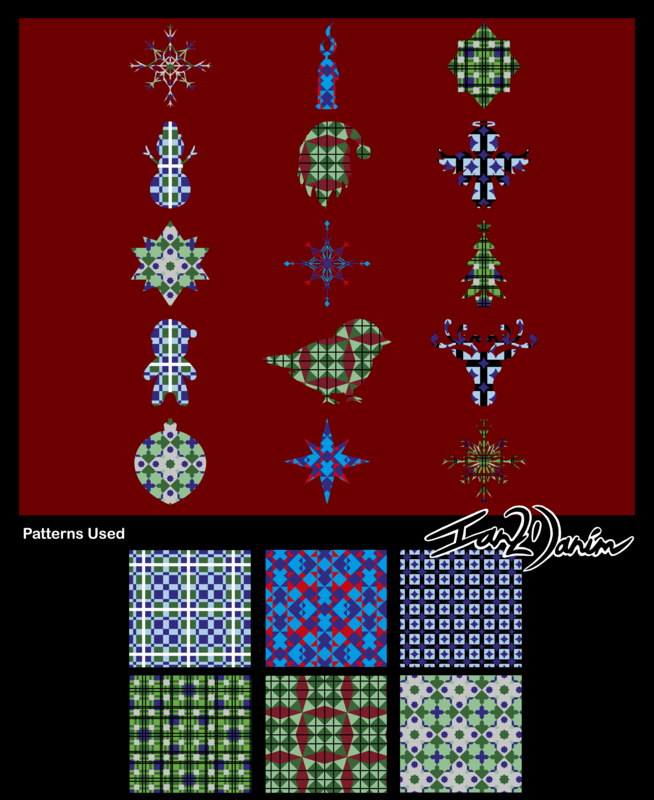 The next two images involve two different layouts that include all 15 silhouettes laid out into three columns of five rows. 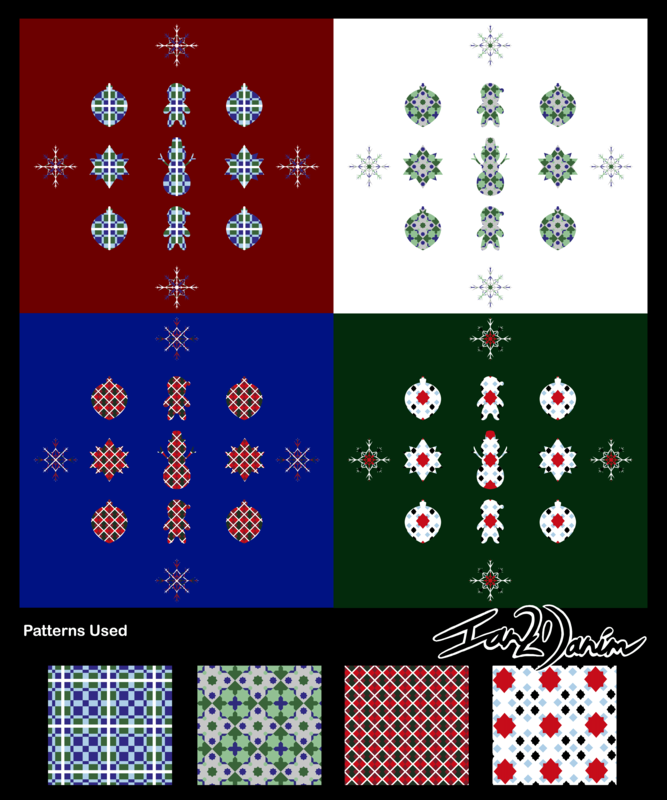 For colouring the first layout uses the red and white patterns whilst the second layout uses the blue and green patterns. 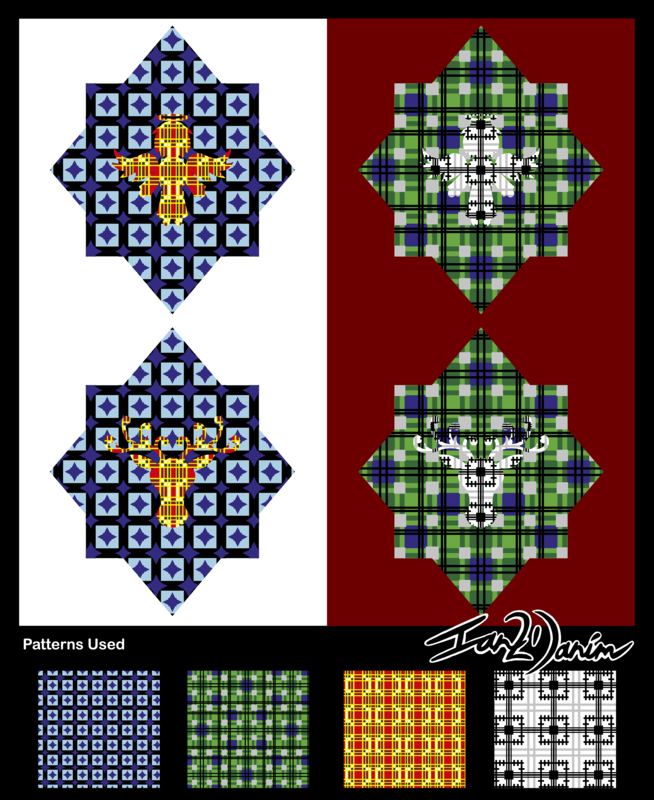 The next three images involve a diamond layout of three different groups of silhouettes in four different colours each. Group 1 has the Santa, Robin, Star 1, Snowflake 1 and the Candle silhouettes. Group 2 has the Snowman, Gingerbread Man, Star 2, Snowflake 2 and the Bauble silhouettes. 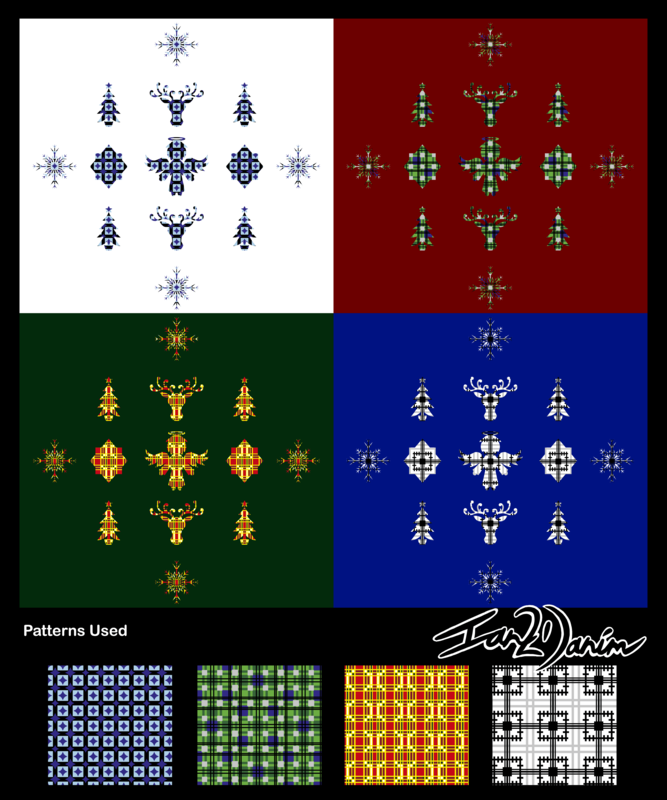 Group 3 has the Angel, Reindeer, Star 3, Snowflake 3 and the Christmas Tree silhouettes. 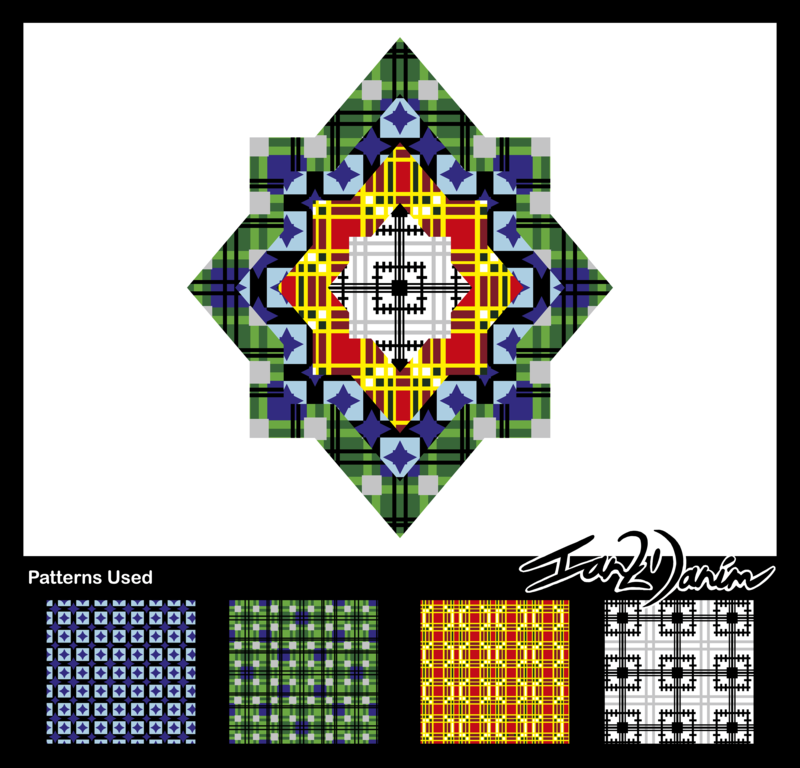 The next image involves five silhouettes spread horizontal in four different colour patterns. 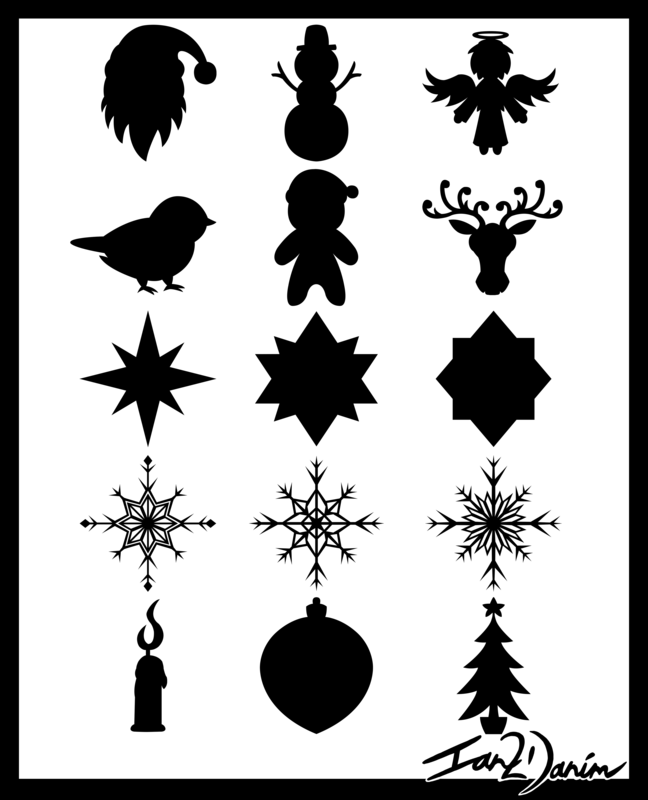 The silhouettes used were the Snowman, Reindeer, Santa, Angel and Gingerbread Man. 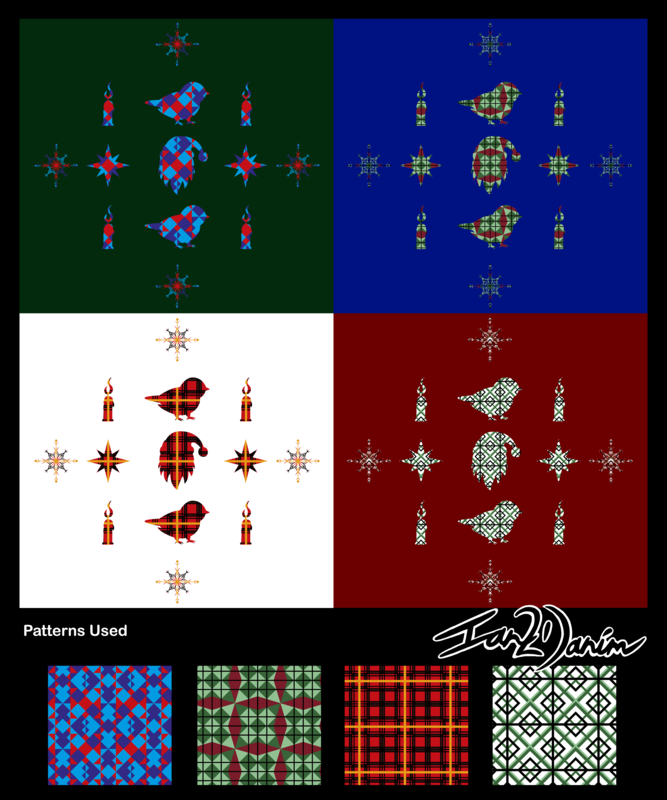 The next three images are 12 double layered patterns that use the Santa, Robin, Snowman, Gingerbread Man, Angel and Reindeer as top layers. 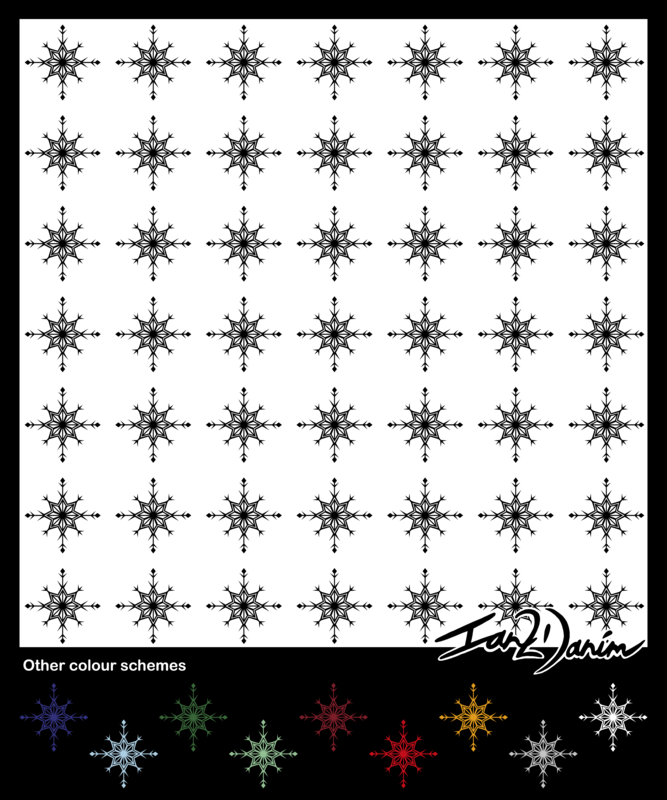 Whilst Stars 1/2/3 are use as bottom layers. 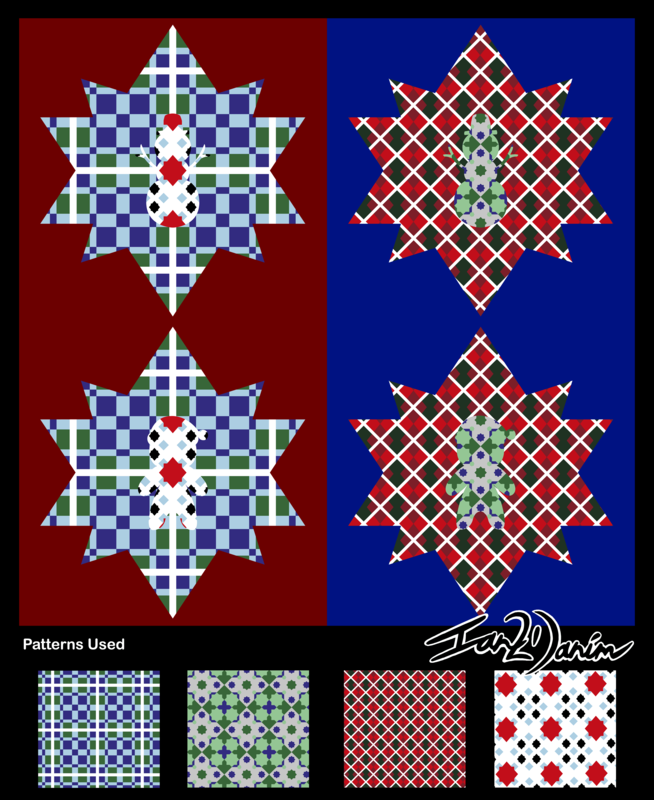 Following up from that is another three images of three quadruple layers patterns that use each of the Stars silhouettes. 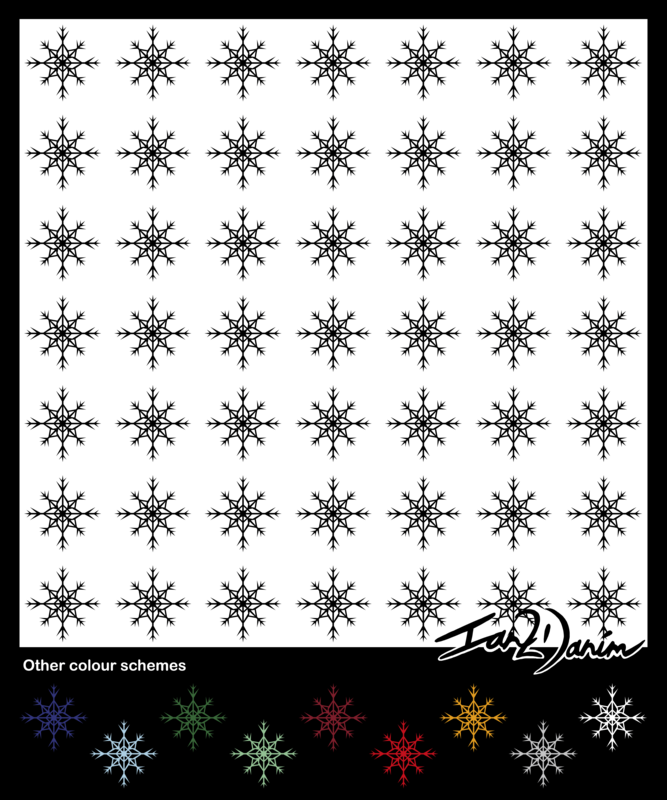 Finally the last three images are of each of the Snowflakes 1/2/3 (default colour black) laid out into a seven by seven layout. 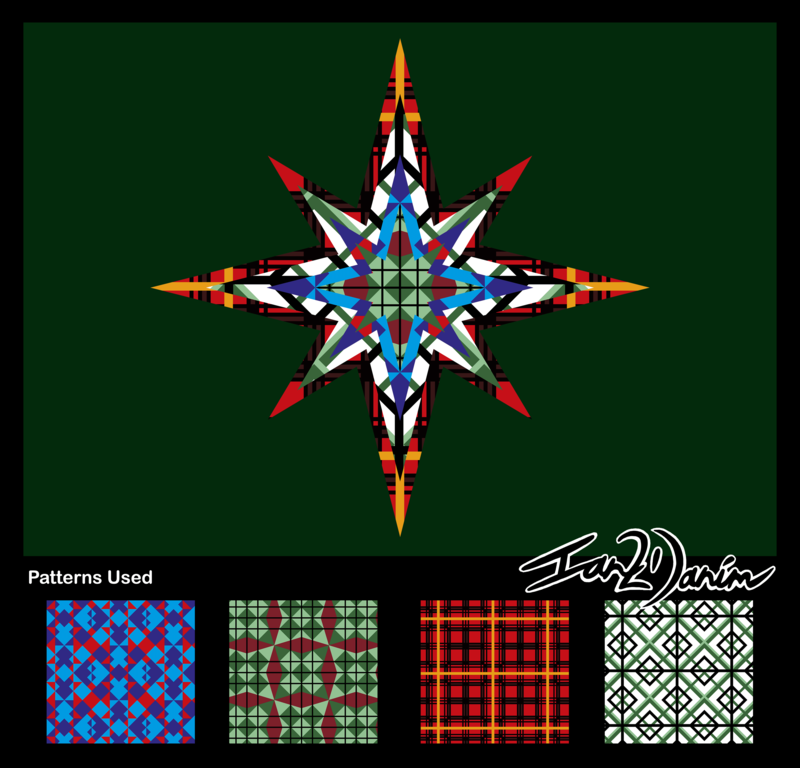 Each one also has an additional nine alternative colours which include; Dark Blue, Ice Blue, Dark Green, Light Green, Dark Red, Light Red, Gold, Silver and White. 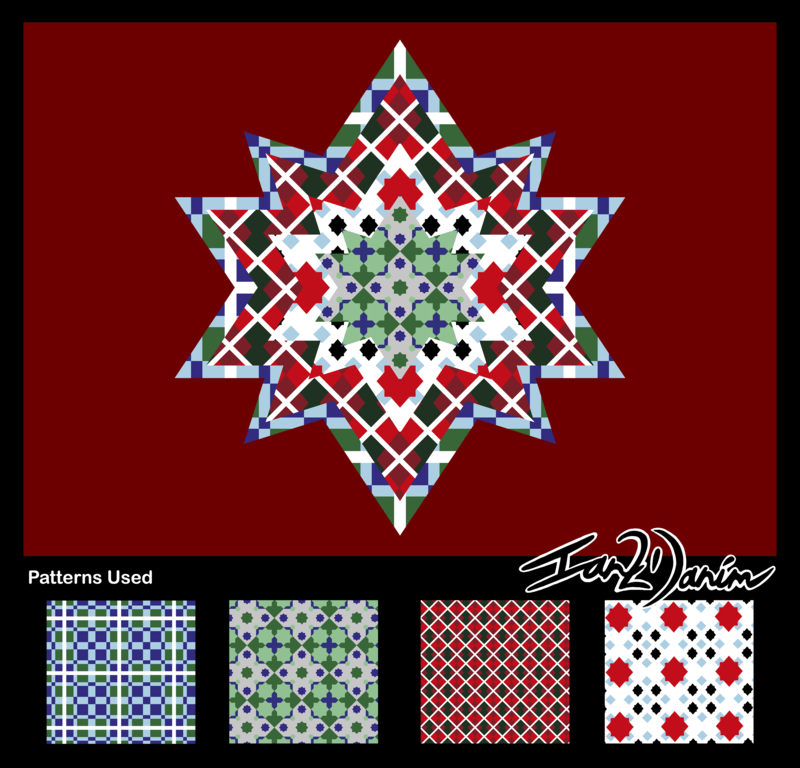 The series is finally completed and are now available on various products on my RedBubble store, so do check them out!